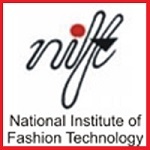 National Institute of Fashion Technology (NIFT) is a leading institution in fashion technology which offers admission in bachelor’s and master’s courses in design and fashion technology. The entrance exam is conducted once in a year. Applicants will have to undergo the written test, situation test, GD & PI interview for the final admission procedure. Admission in the 16 campuses of NIFT will be done through NIFT entrance examination. NIFT Online Application Process has been started from 22nd October 2018. Candidates can Click Here to apply online. The applicants should have qualified Intermediate standard or equivalent examination from any recognized board. Applicants who have cleared 3-4 years of diploma recognized by AICTE or State Board of Technical Education were eligible to apply for NIFT 2019. The minimum age limit to apply for NIFT 2019 is 23 years as on 1st October 2018 (general category). Age relaxation of 5 years will be allotted to SC/ST/PHP applicants. Appearing candidates are also eligible to apply for NIFT 2019. No age limitation to apply for master’s degree. 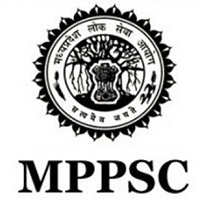 For M.Des & M.F.M programs, the applicants must have qualified a bachelor’s degree from any institution/university recognized by law in India. For the M.Tech program, the candidate must have cleared B.F.Tech from NIFT or B.E/B.Tech. from any institution/university recognized by law in India. Appearing applicants who are giving the qualifying exam can also apply for NIFT 2019. The online application form will be available from the 3rd week of October 2018. Candidates, filling the application after the due date will have to submit the late fee of Rs. 5000/- in addition to the application form. After entering the details completely, applicants must take the printout of filled application form for future reference. Candidates must retain the proof of payment for further reference. Mode of payment would be DR/CR card/ Demand Draft. Exam Mode: For all courses, GAT will be conducted through offline mode (Paper Based Test). Exam duration: The duration of GAT written test will be of 2 hours (for B.Des & M.Des) and 3 hours (for B.F.Tech, M.F.Tech & MFM). Number of Questions: 100 questions will be asked in GAT for B.Des and 120 questions will be asked for M.Des. Language: The medium of the question paper will be in English only. 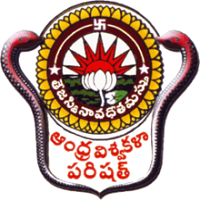 Papers: For B.Des and M.Des, two written exams will be conducted i.e. CAT & GAT whereas for B.F.Tech, MFM & M.F.Tech only GAT will be conducted. Negative Marking: No negative marking will be there. NIFT syllabus for General Ability Test (GAT) comprises of Quantitative Ability, Communication Ability, Analytical Ability, English Comprehension, General Knowledge & Current Affairs for B.Des & M.Des courses. The syllabus of GAT for B.F.Tech, MFM, M.F.Tech comprises of Analytical & Logical Ability, General Knowledge & Current Affairs & Case Study, Quantitative Ability, Communication Ability & English Comprehension. Creative Ability Test (CAT) for B.Des & M.Des tests involves the group discussion (GD) would comprise of a discussion on a case study. The innovative and creative ability of the candidates in designing while Situation test for B.Des candidates will evaluate candidate’s skills for material handling and innovative ability. NIFT Admit card 2019 will be issued to the successfully registered candidates. Admit card will get released in the last week of January 2019. It is mandatory for all the applicants to bring their admit card on the exam date. The result of NIFT 2019 will be disclosed at the end of May/June 2019. 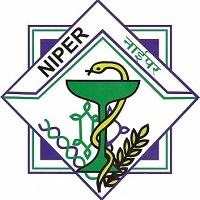 The result will be declared online through the official portal of NIFT. On the basis of GAT score, the result of B.F.Tech will be prepared. Des result will be prepared on the basis of GAT, CAT and Situation Test while M.Des result will be formulated on the basis of GAT, CAT, GD/PI. The final result of MFM and M.F.Tech will be announced on the basis of GAT and GD/PI rounds. The counselling timetable will be released on the official website of NIFT in the month of April/May 2019. It is compulsory for the shortlisted/qualified candidates to participate in NIFT 2019 counselling to get admission. NIFT 2019 admission procedure will begin after the declaration of result and merit list. At the time of admission, candidates have to bring their original as well as xerox of all the prescribed documents for verification purpose.